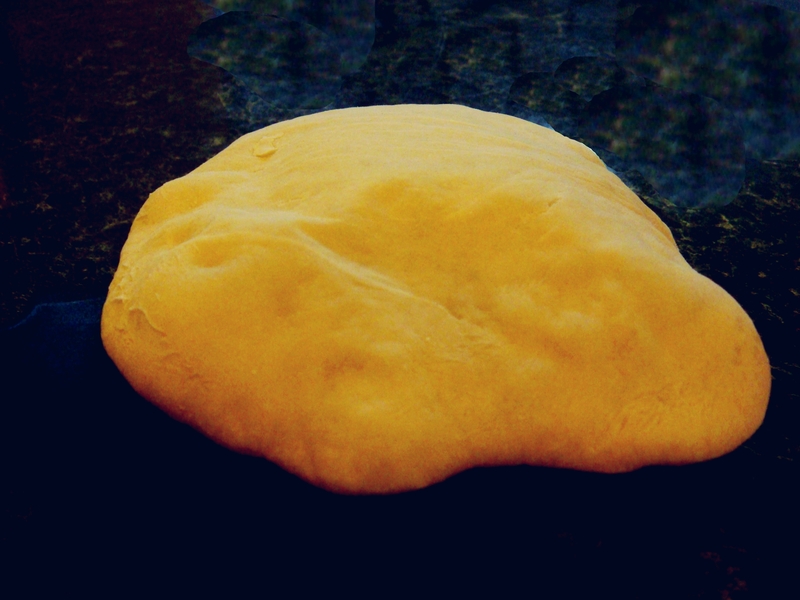 Pita bread is an easy bread to make, even for bread-making beginners. If you use instant yeast, you don’t even need to let the dough rise before rolling and baking it. Just a short 10 minute rest, and you are ready to bake! I use a rectangular pizza stone to bake mine, but you can also use a regular baking sheet or cook them in a small skillet on the stove. 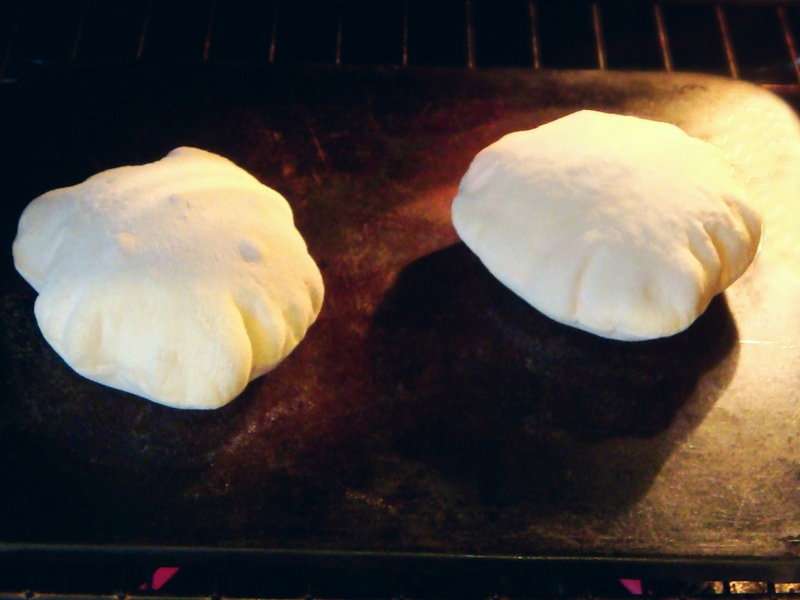 I use a pastry cloth (really just a well-used piece of plain canvas) dusted with flour to roll out my pitas. Once you get the hang of it, you can roll out one or two pitas while your other pitas are baking. Just don’t lose track of time. They cook quickly (2 minutes on one side, 1 minute on second side) and you don’t want them to burn. 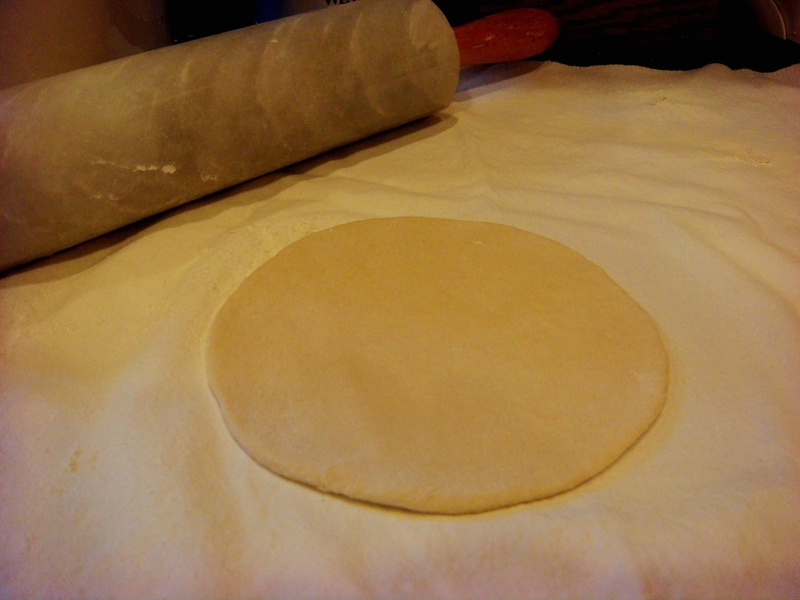 Keep any rolled pita doughs covered until ready to bake. Terrible lighting and a bad picture; but a great pita! Some day I think I will do a post called, “Bad Pictures. Good Food.” I have plenty of those taking up space on my hard drive! Cut pitas in half and fill with this Greek Pork with Tzatziki, or anything you want, really. They are great for a summer fresh-from-the-garden-tomato and bacon sandwich. Or leave pitas whole and break into pieces (or cut into triangles) and serve with tzatziki and/or hummus as an appetizer. Combine yeast, water, flour, salt and sugar. Add additional flour if needed to make a soft, but workable dough. Knead until smooth and elastic. Let dough rest for 10 minutes. If you have a baking stone, place it (ungreased) on a lower rack in oven while preheating (if you are using a regular baking sheet, place it in the oven only 1 min before adding dough). Preheat oven to 500°F. Divide dough into 12 small balls. Leave in covered bowl. Roll out each ball into a circle about 6-inches across and ¼-inch thick. Place on hot baking stone (or baking sheet), one or two at a time. Cook 2 minutes, or until dough puffs up. Turn over and cook about 1 minute longer. With spatula, partially flatten pita (don’t completely flatten, or the insides will stick together). 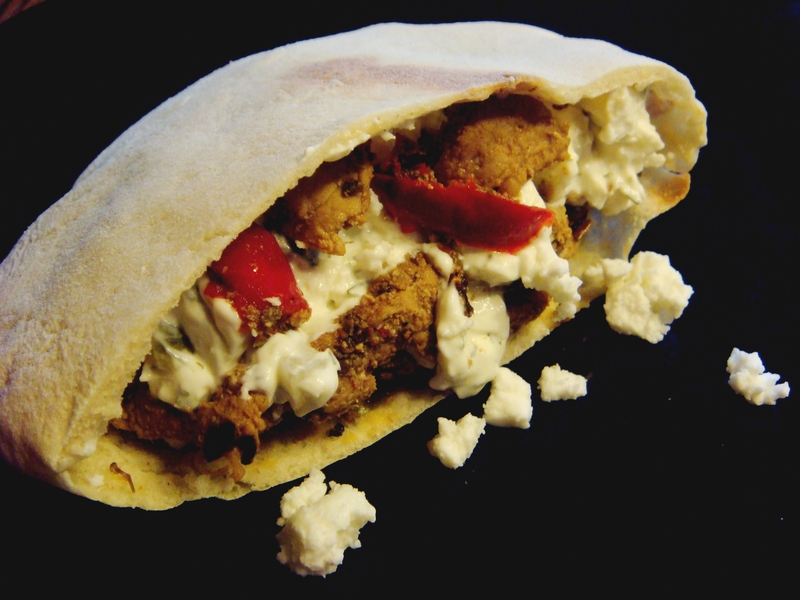 Place on a plate and cover with a towel while other pitas are cooking. Cut in half and fill to eat. Or leave whole and break into pieces (or cut into triangles) served with hummus and/or tzatziki for dipping. **NOTE: If you are not using instant yeast, combine regular yeast and water; let sit for 5 minutes, until combined and active. Mix in flour, salt and sugar. Knead until smooth and elastic. Cover and let rise for one hour. Roll into balls and proceed as above. Wow. Looks amazing. I bet it is 100 X better than store bought.